In 2017, Temple University lost a cherished member of our family when former head coach Wayne Hardin passed away at the age of 91. 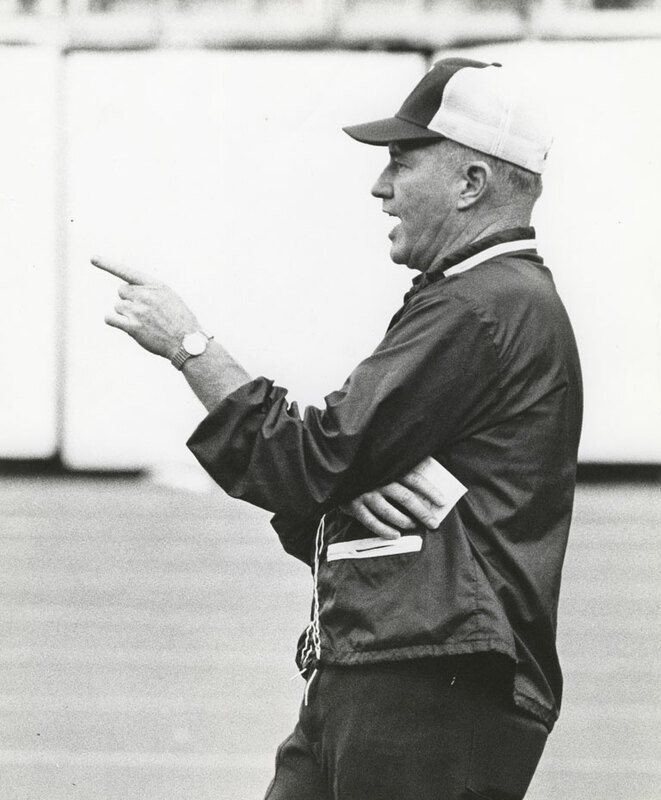 A Temple Hall of Fame and National Football Foundation and College Hall of Fame inductee, Coach Hardin was the winningest coach in Temple history during his 13 years on Broad Street. He led the 1979 team to a 10-2 record and a victory in the Garden State Bowl, the program's first bowl win. He positively touched so many lives as both a coach and as a university ambassador. To honor our legendary coach, Temple Athletics has established the Wayne Hardin Excellence Fund for Temple Football. This fund will provide resources for Temple football beyond our annual budgetary support. Our goal this year is to raise $100,000 to help fund critical needs such as hiring a full-time mental health specialist and on-site chiropractor and massage therapist, weekly cryotherapy, and virtual reality performance training. Please help us honor Coach Hardin's legacy of excellence by making a gift today. Our fans, alumni and former student-athletes play an important role in ensuring the continued success of Temple football. Now is your chance to get in the game and support our program in its pursuit of greatness. Your gift will help provide opportunities to allow Temple football to achieve the highest realms of success.